Srinagar: In the first encounter of 2019, three militants lost their lives and three army personnel were critically injured during a gunfight in Gulshan Pora Tral area of Pulwama district on Thursday. 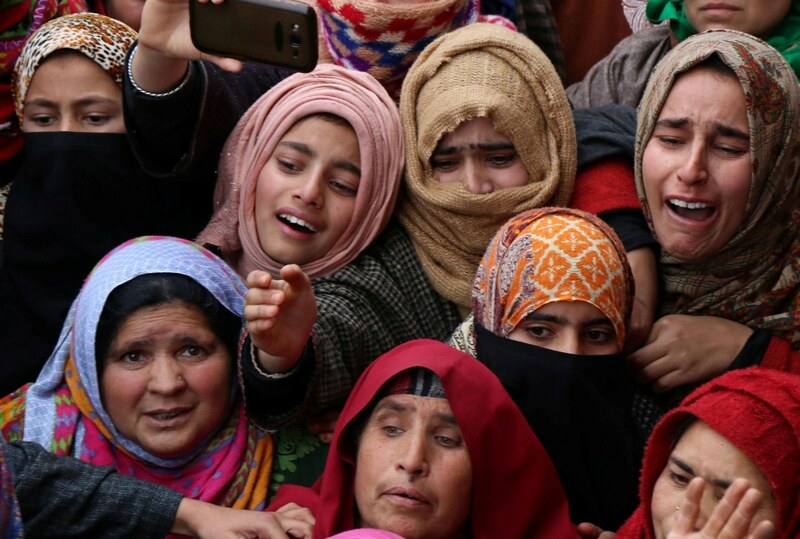 Besides killings, a number of civilians received pellet injuries as they clashed with government forces to thwart the anti-militant operation in the village. As soon as the people started leaving for their work in the morning, the news of encounter in Tral started circulating amongst the masses. 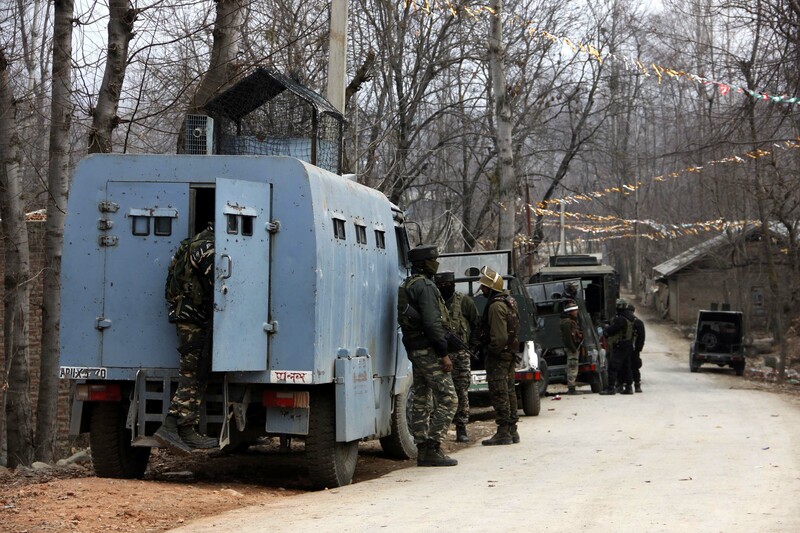 An official said that the encounter ensued after a joint team of army’s 42 RR, SOG and CRPF launched a cordon-and-search operation following the inputs about the presence of a group of Hizbul Mujahideen militants in a hideout, at Gulshan Pora. Pertinently, the area is near to the forests and the militant group was reportedly in a hideout when the gunfight began. After the hours of fire exchange, three militants were killed and the bodies were recovered from the site of encounter. The slain militants were identified as Zubair Ahmad Bhat, alias Abu Huraira, son of Bashir Ahmad Bhat, a resident of Chursoo Awantipora, Shakoor Ahmad Parray, alias Jaffar, son of Ghulam Nabi Parray, a resident of Laribal Tral and Tawseef Ahmad Thoker, alias Abu Talha, son of Ghulam Mohi-ud-deen Thoker, a resident of Chursoo Bunpora Awantipora. 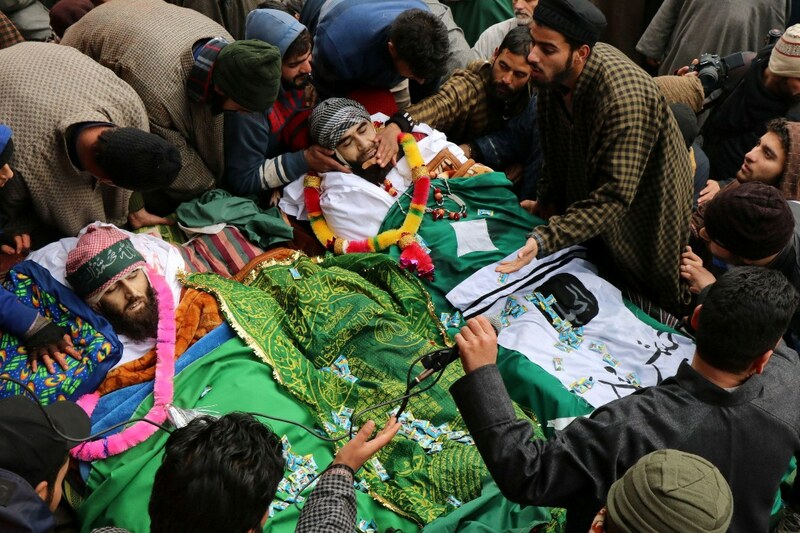 The slain militants were affiliated with the Hizbul Mujahideen and JeM outfits. During the encounter, three army men were also injured. They were taken to army’s 92 base hospital Srinagar where from one critically wounded soldier Sepoy Nehminlan Haokip of 42 Rashtriya Rifles was airlifted to army’s command hospital Udhampur for advanced treatment. The army spokesman said that the soldier is under treatment in the hospital. “The news in some sections of the Media of a soldier being killed is incorrect. The injured soldier is under treatment,” he said. Following the gunfight, the youth took to streets and pelted stones on forces leading to clashes at some distance from the encounter site in which several persons have reportedly suffered pellet injuries. One of the slain militants, Tawseef Ahmad Thokar had done masters in mathematics, and before joining the militancy on May 14, 2018, he was working as a teacher at high school in Awantipora. His father Ghulam Mohi-ud-deen Thoker is a retired headmaster, who was arrested under Public Safety Act (PSA) in 2016 when Kashmir remained shut for six months after the killing of Hizb commander Burhan Wani. Tawseef is survived by two brothers, two sisters and parents. He was the second elder son. Another militant Zubair Ahmad Bhat had also joined a militant group JeM outfit. He joined militancy on May 10, 2018. Zubair is survived by his parents, two sisters and a brother Ishfaq Ahmed. Zubair was the youngest one. His father Bashir Ahmed Bhat is handicapped and his brother Ishaq Ahmed runs the family by working in a nearby bandsaw in Chursoo. Before joining militancy Zubair had passed his class tenth and was studying in senior secondary school. The third slain militant Shakoor Ahmad Parray had joined militancy on October 2, 2017. 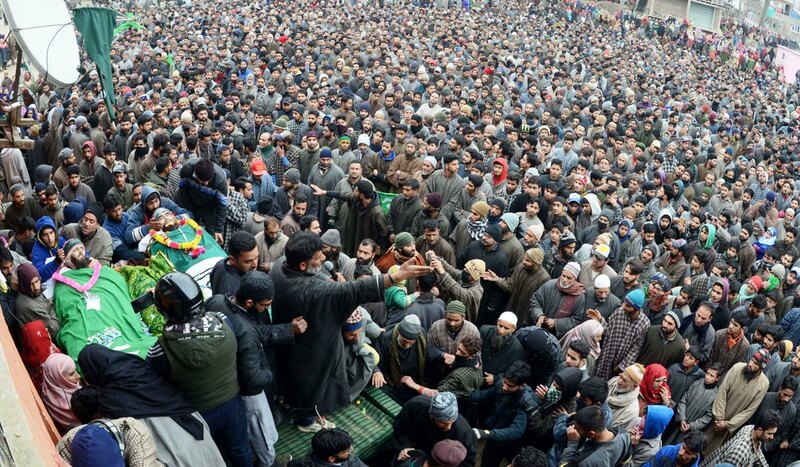 He was the cousin brother of slain militant Ishaq Parray, a resident of Laribal, commonly known as ‘Newton’. When techie ‘Newton’ was alive he was known for his sheer brilliance in Tral town. Before joining militancy he had left his home to submit his college form. He never returned until his bullet-ridden body was brought home, 365 days later. Ishaq ‘Newton’ had scored 98.4 per cent in his Class 10 and he was the ninth position holder in entire Kashmir. Geelani said that people are facing extreme situations and during and after the encounters, as the civilian population is subjected to “arbitrary measures”. Hurriyat chairman said that their denial and unconcern is the sole reason for this unabated “bloodshed” in Jammu and Kashmir. Hurriyat (m) chairman Mirwaiz Umar Farooq said that the government through its repressive policies is pushing the Kashmiri youth to wall leaving them with the no option other than to resort to armed means of resistance, adding, these measures, however, can’t break the resolve of people who are fighting for the legitimate rights neither New Delhi can misguide the world community any more about the basic ground realities in Kashmir. The spokesman strongly condemned the use of force on the peaceful protestors in Tral stating that at least a dozen youth sustained pellet injuries as forces used their might by firing countless pellets, tear gas and Pava shells to break the peaceful procession which deserves the highest form of condemnation. 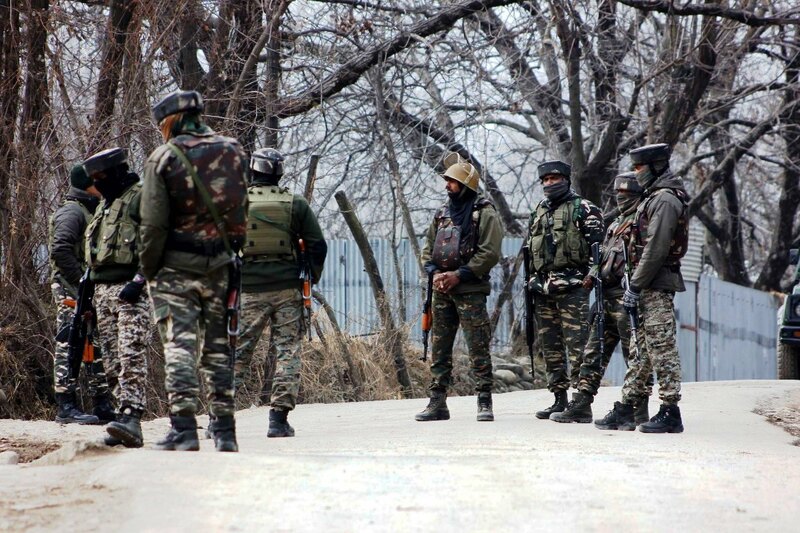 Based on a credible input about the presence of militants in higher reaches of Tral in Awantipora, a cordon and search operation was launched today morning jointly by Police and security forces in the area. In the ensuing encounter, three militants were killed and the bodies were recovered from the site of encounter. The killed militants have been identified as Zubair Ahmad Bhat @Abu Huraira son of Bashir Ahmad Bhat resident of Chursoo Awantipora, Shakoor Ahmad Parray @Jaffar son of Ghulam Nabi Parray resident of Laribal Tral and Tawseef Ahmad Thoker @Abu Talha son of Ghulam Mohi-ud-deen Thoker resident of Chursoo Bunpora Awantipora. All the three killed militants were “wanted” by law for their complicity in a series of “terror” crimes including “attacks” on security establishments and “civilian” atrocities. It was a combined group of JeM and HM and as per police records Zubair was affiliated with outfit JeM while Shakoor and Tawseef were affiliated with outfit HM. Police have registered a case and initiated an investigation in the matter. Incriminating materials including arms and ammunition were recovered from the site of encounter. All these materials have been taken in case of records for further investigation and probe their complicity in other terror cases.